As a parent you can have the facility to log on to your own EDLounge parent page and see your child's progress and development. You will be able to view many aspects, such as content learned and time spent learning. In this way a true partnership can be further strengthened in supporting students, teachers and family involvement as an integral part of the well being of the school community. 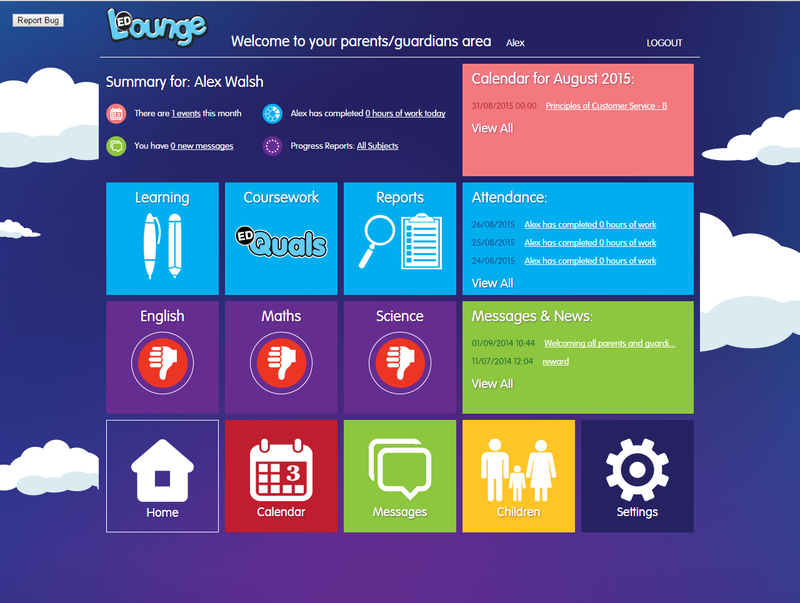 EDLounge is an online e-learning tool that aims to help your child/children in a range of learning environments. Students can learn through a range of learning pathways and programmes in school, off-site, or at home. First of all the school will have created your child’s log in details (Username/Password) and have communicated them to him/her on a card or a letter. You will also receive a letter with a code outlining what EDLounge is, why EDLounge is being used, the benefits, and what the logging in process is.